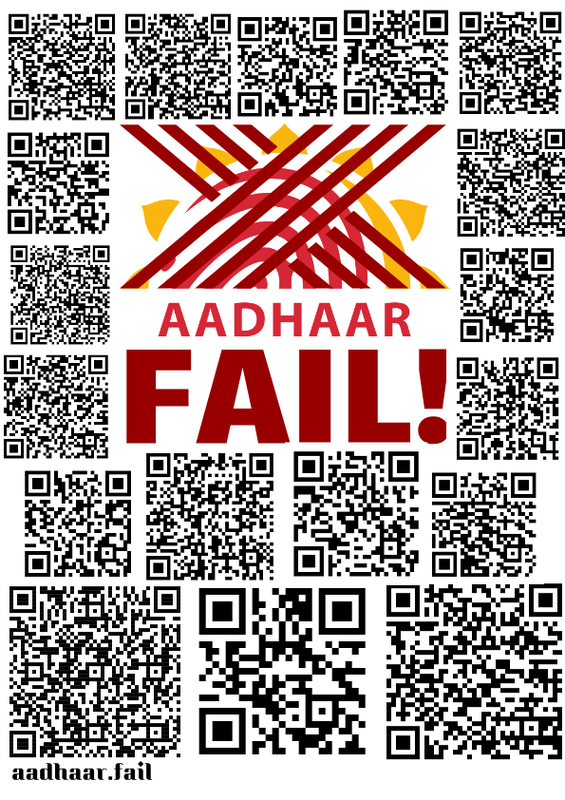 Aadhaar FAIL poster - Aadhaar FAIL! We have a new Aadhaar FAIL! poster. It is all encrypted, therefore perfectly safe. Enjoy. As always, all our content is creative commons. Feel free to print it out and use as you wish, put it up on your websites, post it on your personal blog sidebars as a show of support. Whatever. Make it travel.